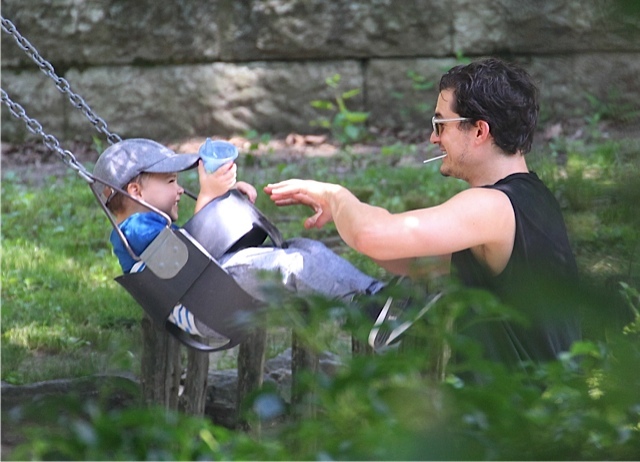 On Sunday Orlando Bloom enjoyed a sunny stroll with his son Flynn and trusty dog in New York City. The actor had his hands full as he carried Flynn on his shoulders, while holding Sidi’s leash. All smiles, he snuck some kisses from his little cutie. 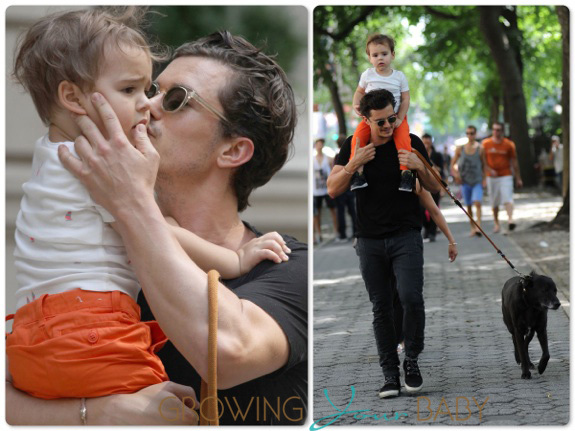 A favorite stop for the pair, Orlando and Flynn were spotted there on Saturday and also on Thursday with Miranda. Orlando has been in New Zealand filming The Hobbit: There and Back Again. On June 29th he wrapped production and has been busy catching up with his family since arriving home shortly after. This December the second installment of The Hobbit; The Desolation of Smaug will hit theaters. Fans will have to wait, however, until December 2014 to see the third installment, The Hobbit: There and Back Again.